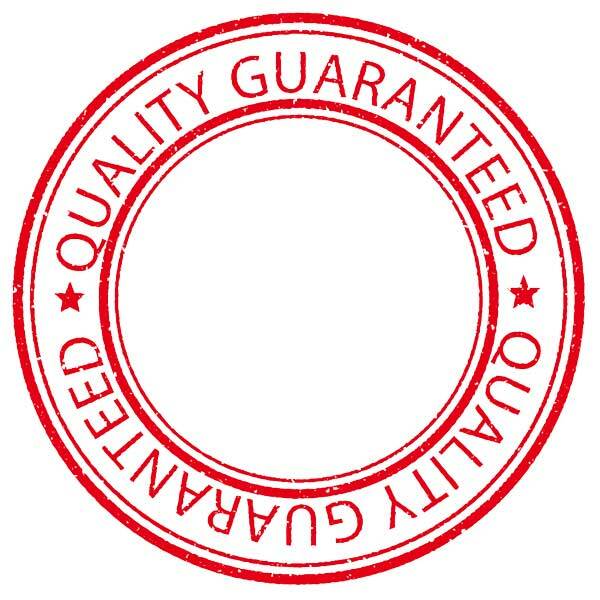 To every patron: We promise to offer only the highest quality food and fuel backed by a 100% satisfaction guarantee. 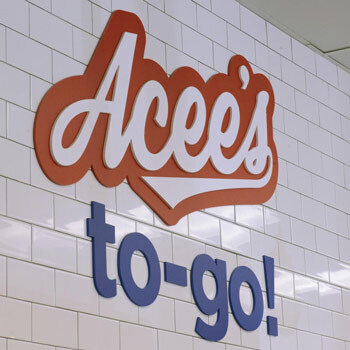 We promise to offer fresh foods, spotless restrooms, and a friendly staff that will go above and beyond to WOW our customers. 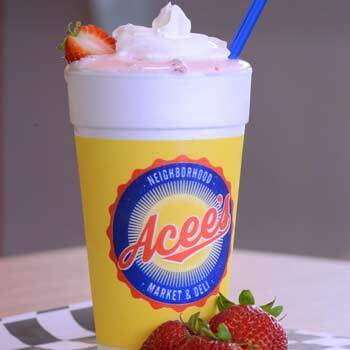 Acee’s Neighborhood Market already has a reputation for being a good neighbor. 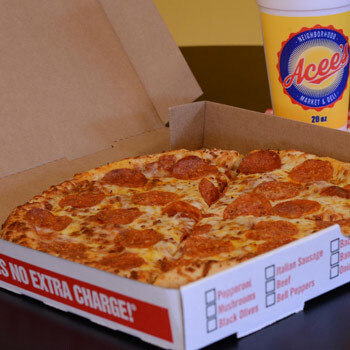 We’ve expanded our facilities and your menu options. 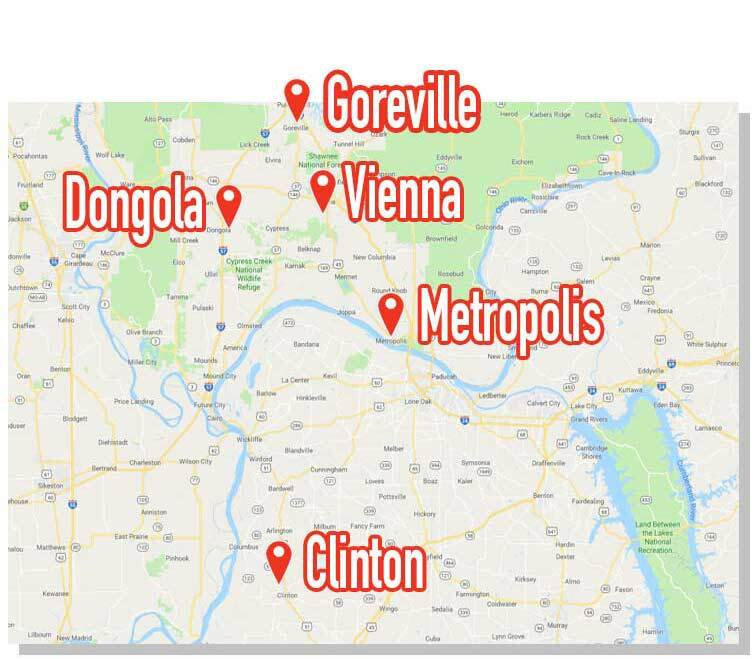 We are proud to serve customers throughout Southern Illinois at four locations: Vienna, Goreville, Dongola and Metropolis and Clinton, KY.
Pictured (L-R): Trina and Macie Tosh. 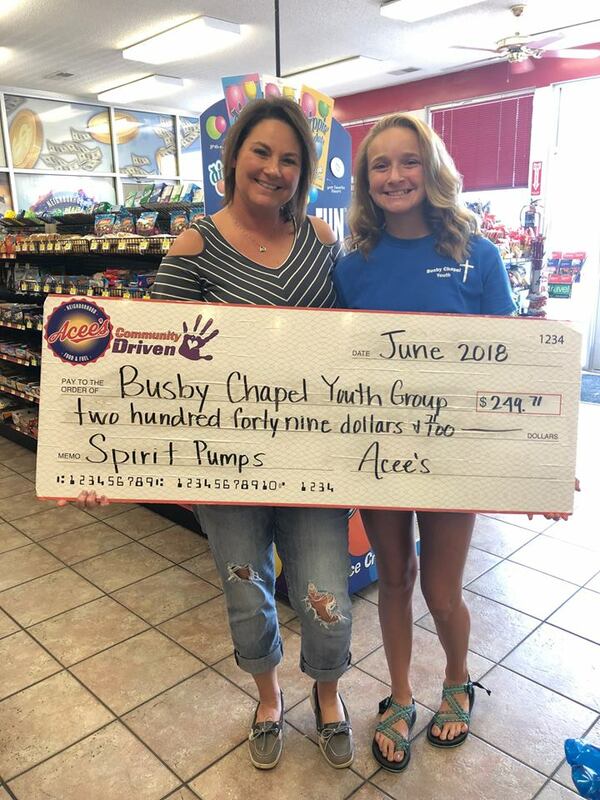 We are proud to partner with the Busby Chapel Youth Group for June's Spirit Pumps at the Goreville Acee’s. The youth group will be leaving soon to a retreat in Gatlinburg, TN, and this donation will help with the costs. Pictured (L-R): Madison Roper, Toni Henderson (sponsor), Kimberly Cook, Hayle Stuby, Haley Bundren, Alexia Mook and Maria Roper (sponsor). 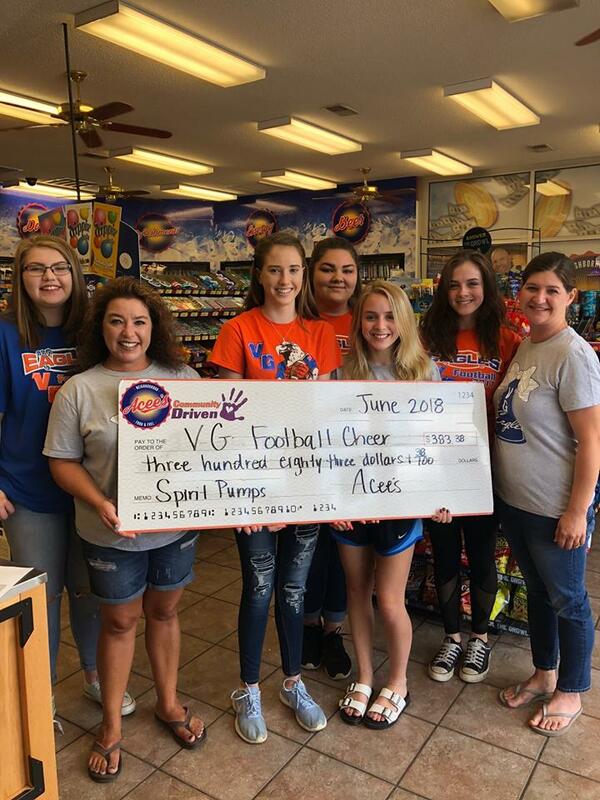 The VG Football Cheerleaders were the Vienna Acee’s Spirit Pump recipients for the month of June. They will be using this donation to help buy new uniforms. Pictured (L-R): Coach Paula Hall, Ryleigh Laminack, Michelle Wolford and Ashley Sullens. 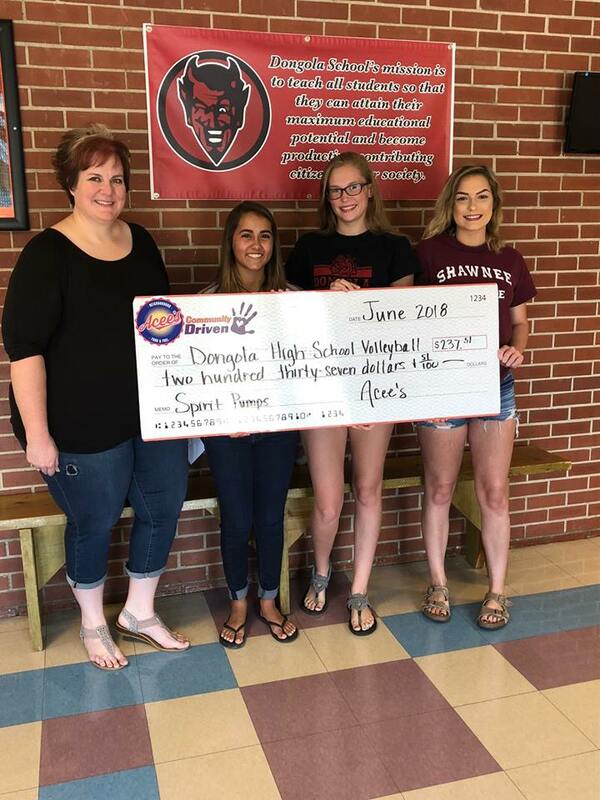 The Dongola High School Volleyball Program was the first recipient from June 2018 and the team will use this donation to buy new uniforms for the upcoming season. Pictured (L-R): Vicki Batts, Center Coordinator. 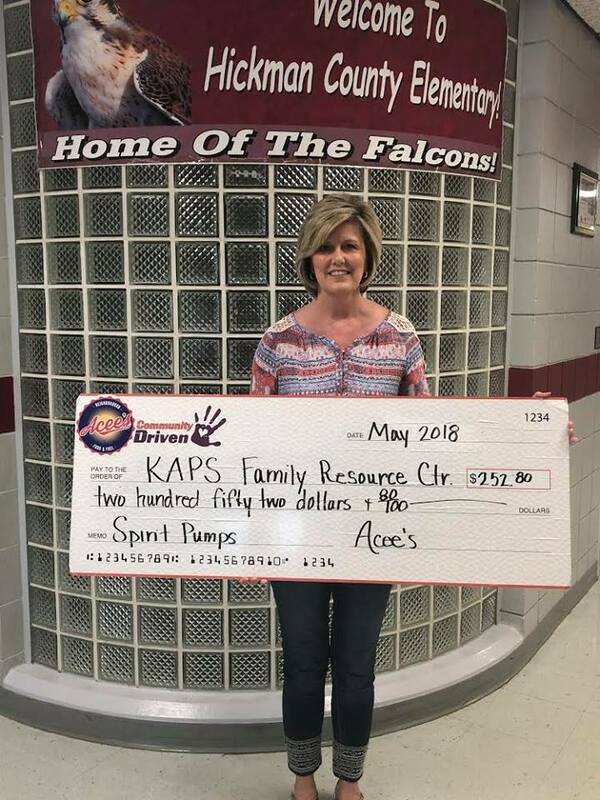 Huge thanks to all the Spirit Pump users who helped to generate this May 2018 donation to the KAPS Family Resource Youth Services Center in Hickman County. 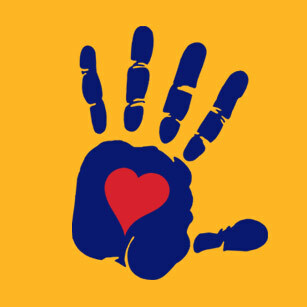 The group plans to use this donation for the Back-to-School Fair and to purchase school supplies for the upcoming year.